ConsYou got to pimp the rest of your bike. ProsLook great, smooth bearings, easy to fit. 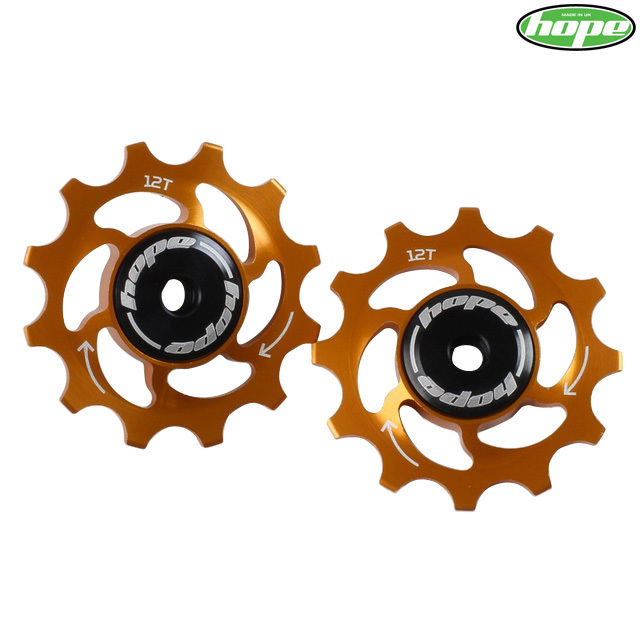 Just thought I'd put this up as all over t'internet there's advice that you can use the 11 tooth hope jockeys and they run ok, I tried this and can say yes they work, but after fitting the 12 tooth my sram x1 shifts much smoother, so if your swapping your cogs , go get some proper bling,you got to swap them for the best,and the're made in the UK in t'north, perfect.